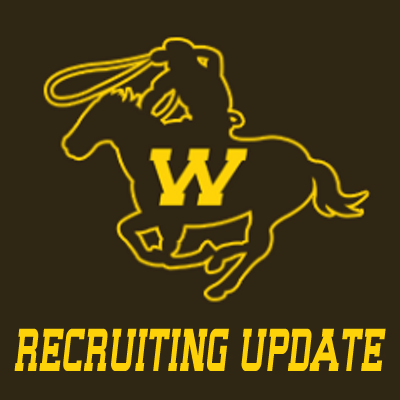 The Wyoming Cowboys have now landed their fourth 2016 prospect from this past weekends visitors. This weekend as also led to them to landing their second linebacker from the State of Illinois in 6’0″, 210-pound Drew Harvey from Crete (IL) Crete-Monee High School. Harvey led his Crete-Monee Warrior ball squad in tackles this past season in route to a 11-3 record and a class 6A State Title berth. From his linebacker position he recorded 145 tackles as a senior, including 17 tackles for loss, four quarterback sacks and two fumble recoveries. He was offered by Wyoming back on November 25th. The lead recruiter on Harvey was secondary coach Curt Mallory. He joins Oak Park-River Forest high school linebacker Jahmari Moore from the State of Illinois in this recruiting class. Harvey was rated the 17th best prospect in Illinois by Maxpreps.